This has been a long semester. 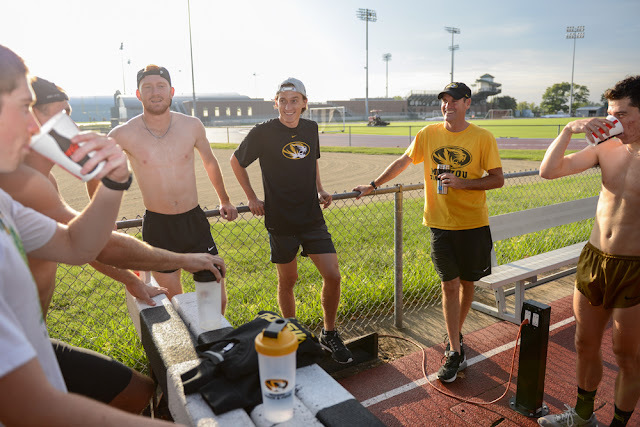 I came into staff with a lot of goals and I met most of them, I think. 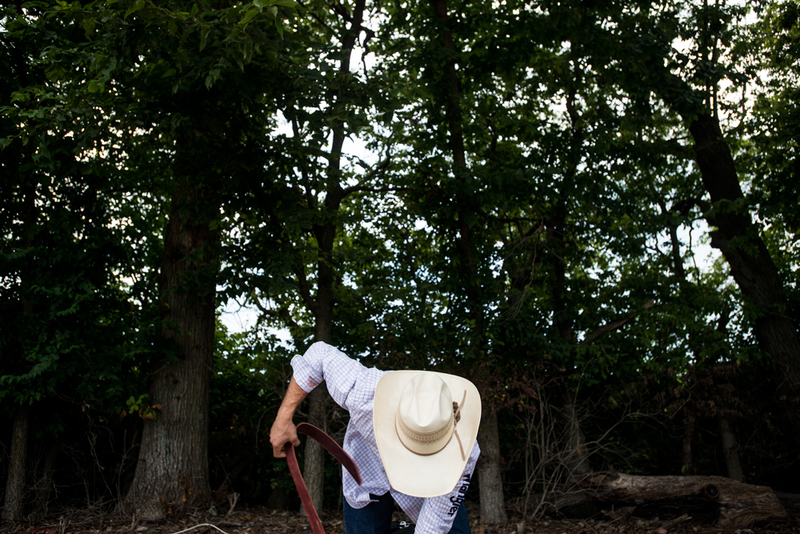 I wanted to strengthen the story part of my portfolio and refine my singles, which had grown a little stale. I put in as much time as I could, which is what I'd like to blame my lack of blog posts on. It can be pretty time consuming trying to put one of these together. This post took 4+ hours to pull together. 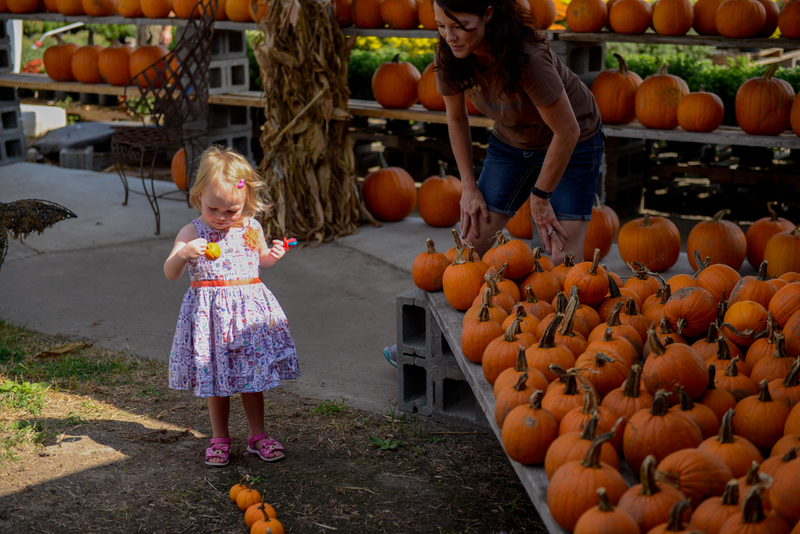 Here's a selection of images from September. There are a couple short stories mixed in the lot here, as well as some of those lovely outtakes that never got to see the light of day. 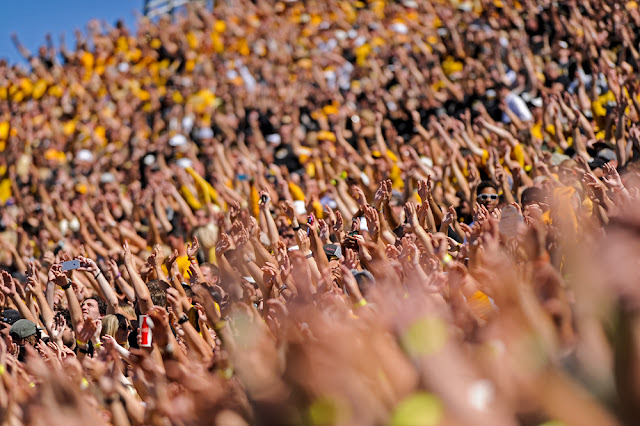 I didn't realize all the work I put in during that first month until pulling all these images together. That being said, I find myself a little tongue-tied at the moment – and tired. I'm looking forward to recharging my battery over winter break, however much of a break I'm able to get. I'll keep playing catch up over the next few weeks with posts, going month by month, until I've made it to the year's review. 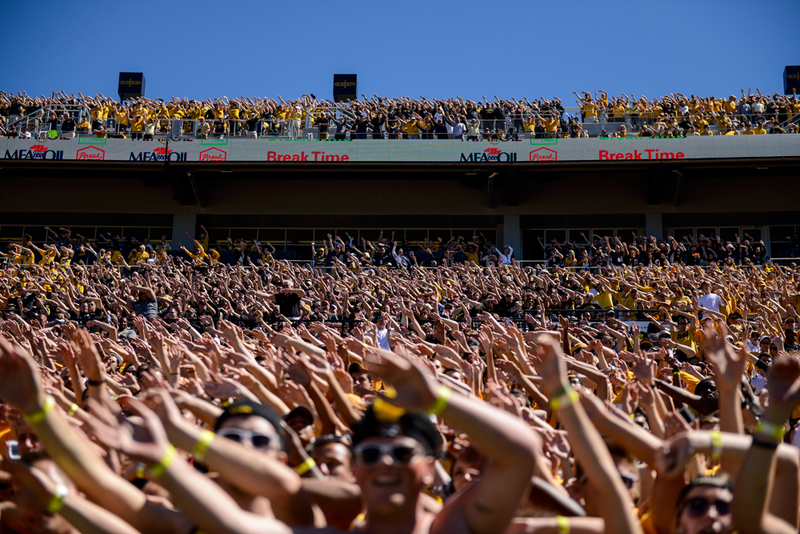 Until then, enjoy a little eye candy from September. Cars are parked by a man on horseback at the Cattlemen's Days Rodeo. Sage Kimzey, the defending Professional Rodeo Cowboys Association bull riding champion, unpacks a new saddle Friday, Aug. 28, 2015 at the 2015 Cattlemen Days Rodeo in Ashland, Mo. 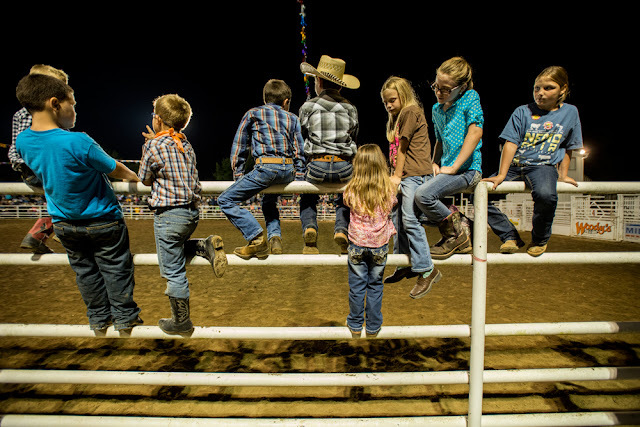 Kimzey was scheduled to compete in bull riding and bronc riding, even though he'd only ridden one bronc in the past four years. 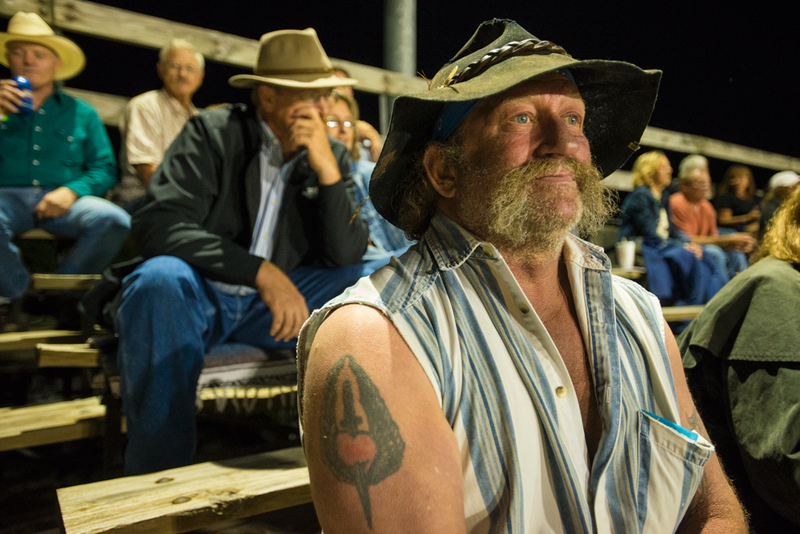 "Bull riding just got kind of boring," he said. 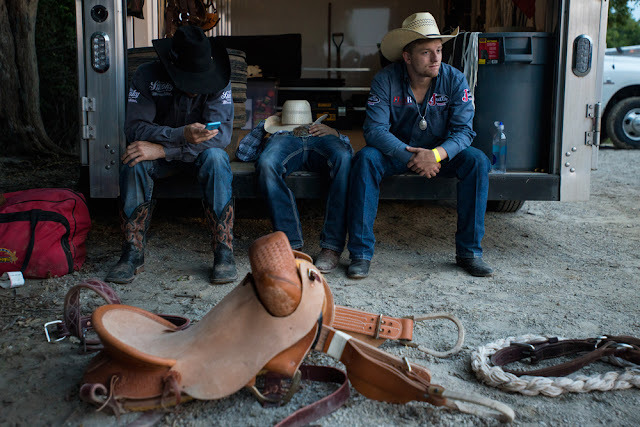 From left, Pistol Robinson, Tanner Bothwell and Brennon Eldred wait for the 39th annual Cattlemen Days Rodeo in Ashland to start Friday, August 28, 2015. 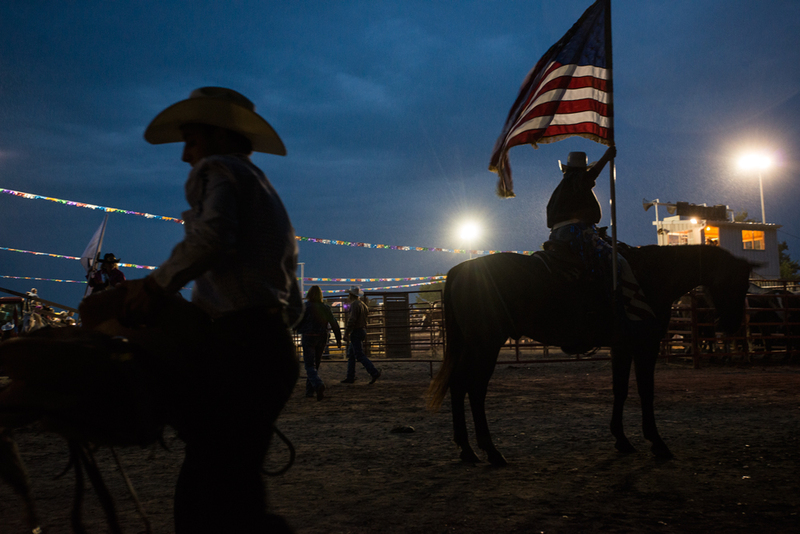 Sage Kimzey moves his saddle out of the rain during the 2015 Cattlemen Days Rodeo Friday, Aug. 28, 2015 in Ashland, Mo. Kimzey, who earns over $100,000 every year in rodeo winnings, said that the toughest part of the job was being healthy enough to compete consistently. 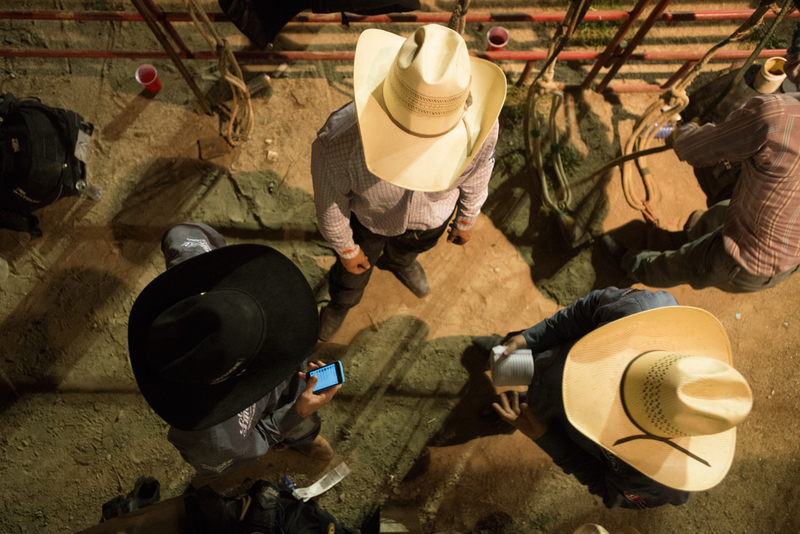 He said that unlike other athletes who are ensured payment through their contracts, if rodeo riders don't compete, they don't get paid. He still loves it, though. "It's all I ever wanted to do." 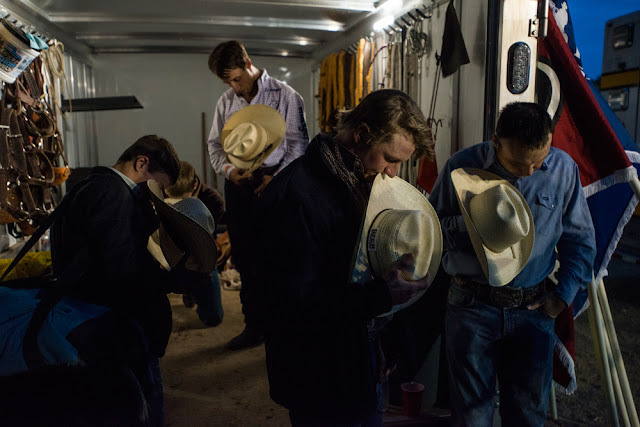 Sage Kimzey, center-left, bows his head in prayer with fellow competitors before the beginning of the 2015 Cattlemen Days Rodeo Friday, Aug. 28, 2015 in Ashland, Mo. 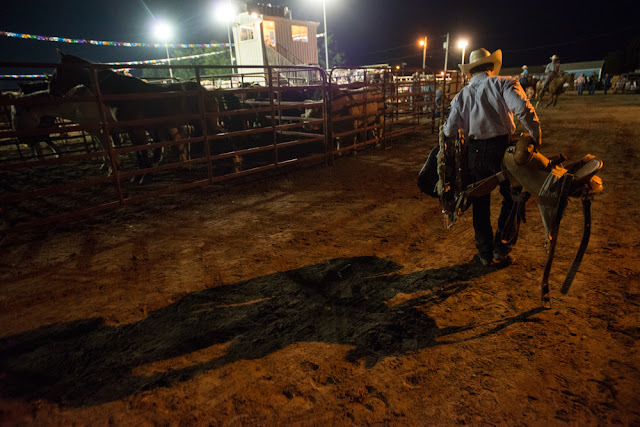 Sage Kimzey carries his saddle and gear to the arena in preparation for his rides Friday night at the 2015 Cattlemen Days Rodeo in Ashland. Kimzey competed in both the bronc and bull riding events. 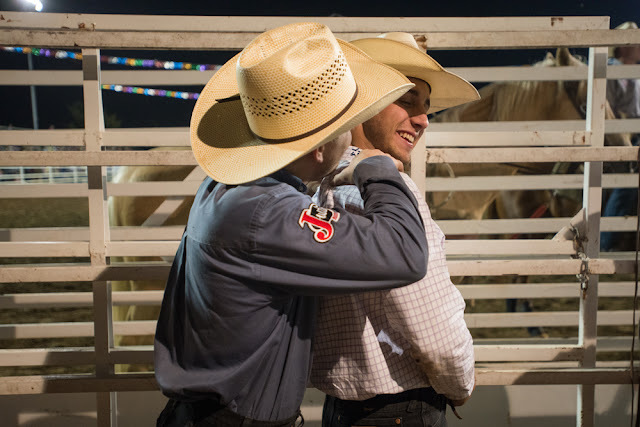 Brennon Eldred jokingly massages Sage Kimzey's shoulders before their bull rides at the 2015 Cattlemen Days Rodeo Friday, Aug. 28, 2015 in Ashland, Mo. 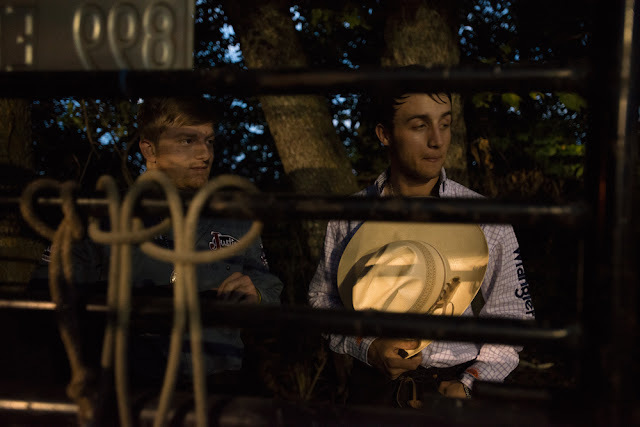 Eldred is the 2nd ranked bull rider in the nation, behind Kimzey. The two friends and travel partners have been competing against each other since they were kids back in Oklahoma. 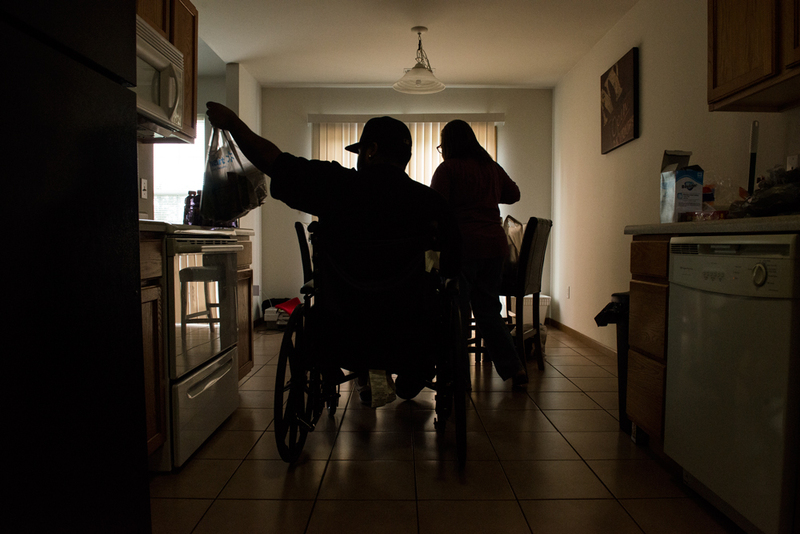 "Feels like we've been one and two our whole lives," Kimzey said. 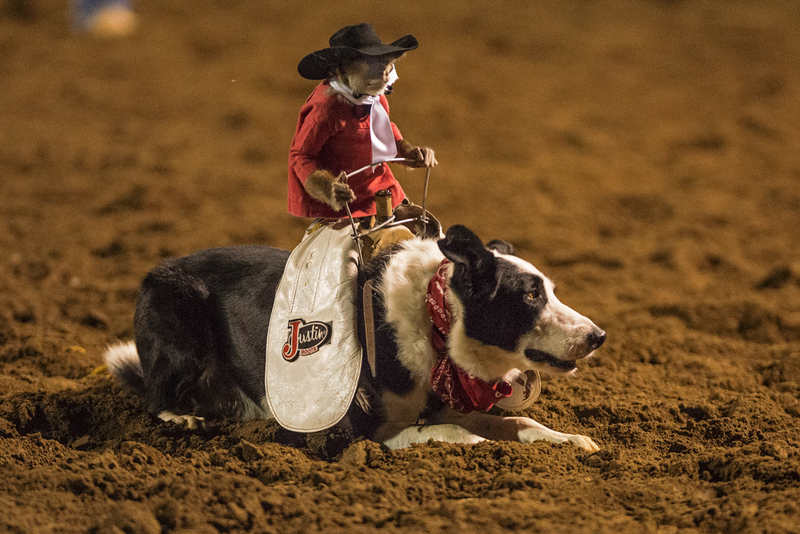 Whiplash the cowboy monkey, a 3-time Pro Rodeo Entertainer of the Year, sits atop his dog, Boogie, at the Ashland Cattlemen Days Rodeo in Ashland, Mo. 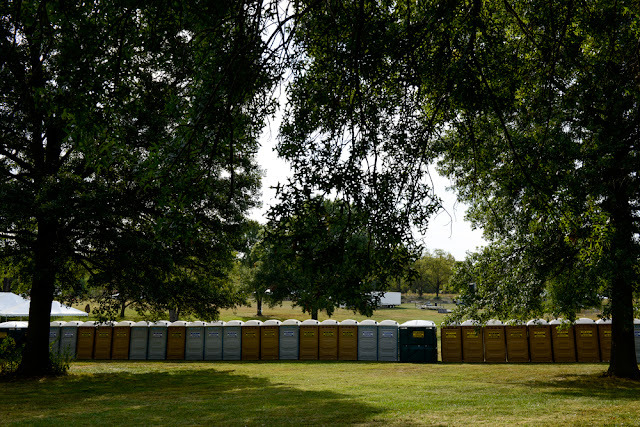 August 28, 2015. 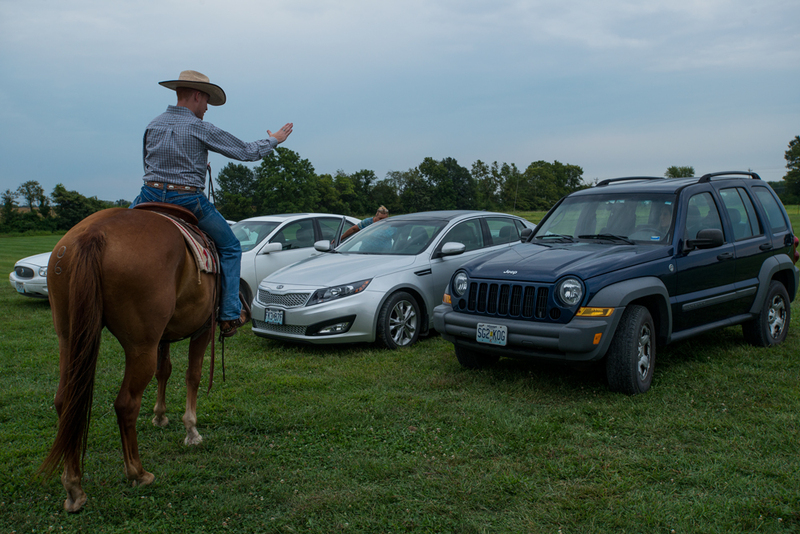 Whiplash, a 20-year-old Capuchin monkey who's been riding since he was two, rounded up sheep to the crowd's pleasure. Sage Kimzey, the top bull rider in the nation, competed Friday at the 2015 Cattlemen Days Rodeo in Ashland. 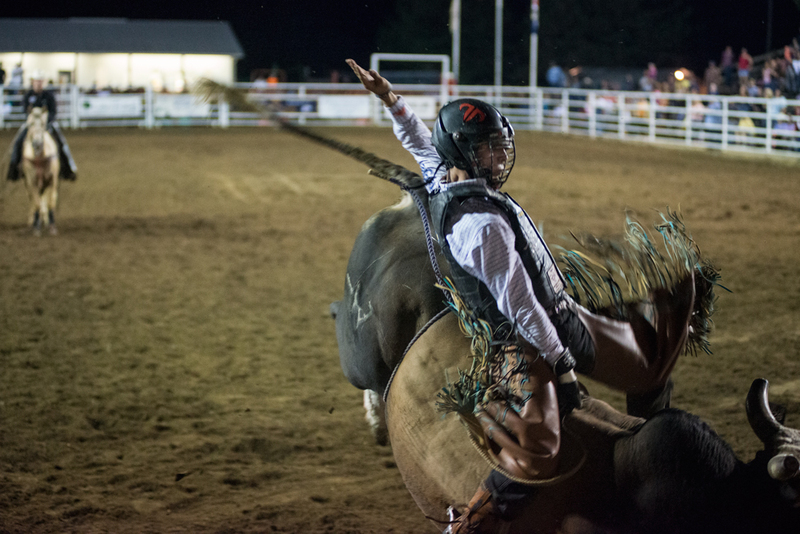 Kimzey, who had the final ride of the evening, stayed on the bull the full eight seconds, earning the best score of the evening with a 91.2 for his ride. His travel partner Pistol Robinson came in with a 91. 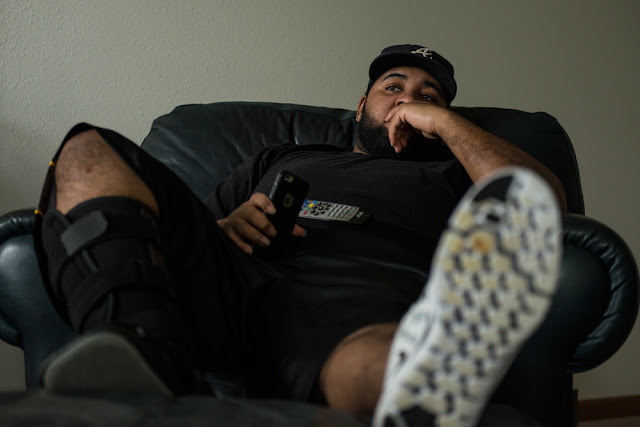 Asaad Brown watches television from a chair in his living room on Monday in Columbia. Brown spends most of his time watching ESPN or reality TV alone in his living room now due to the limitations his wheelchair presents him with. 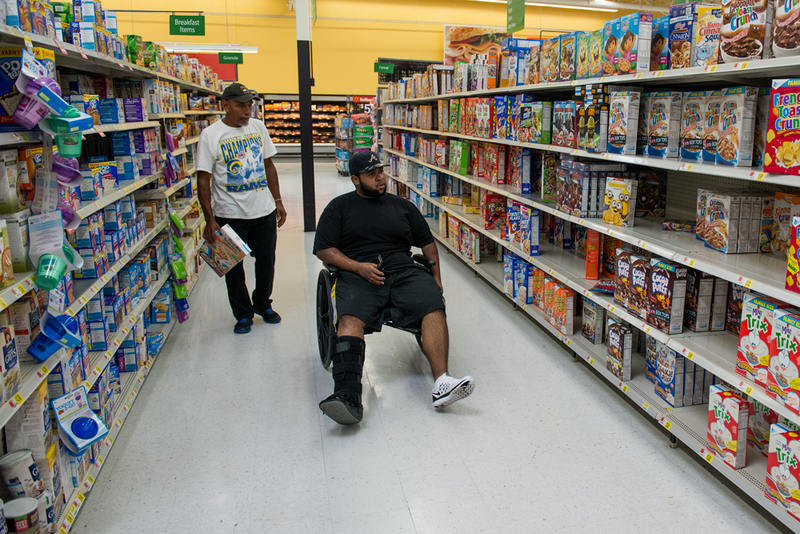 Lewis Tucker, left, carries a box of cereal as Asaad Brown, his nephew, pulls himself along with his good foot Friday in the cereal aisle at Walmart in Columbia. 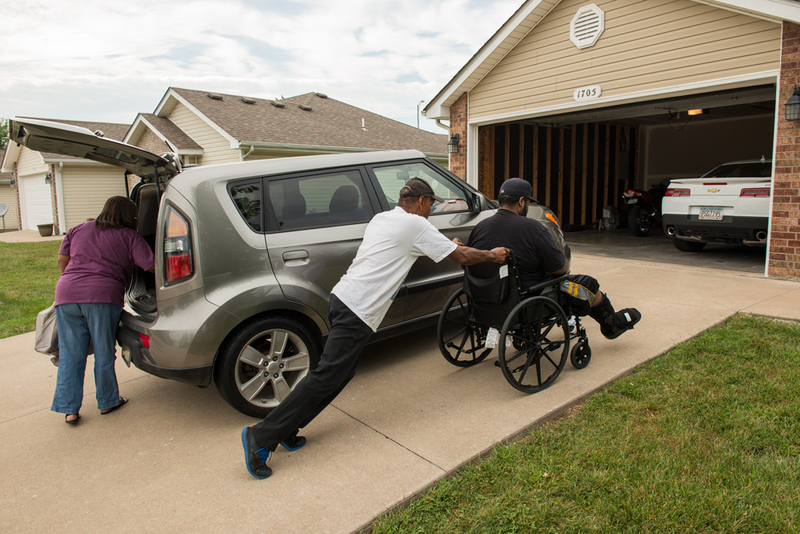 Brown's aunt and uncle help him run errands around town because he's not healthy enough to drive yet. 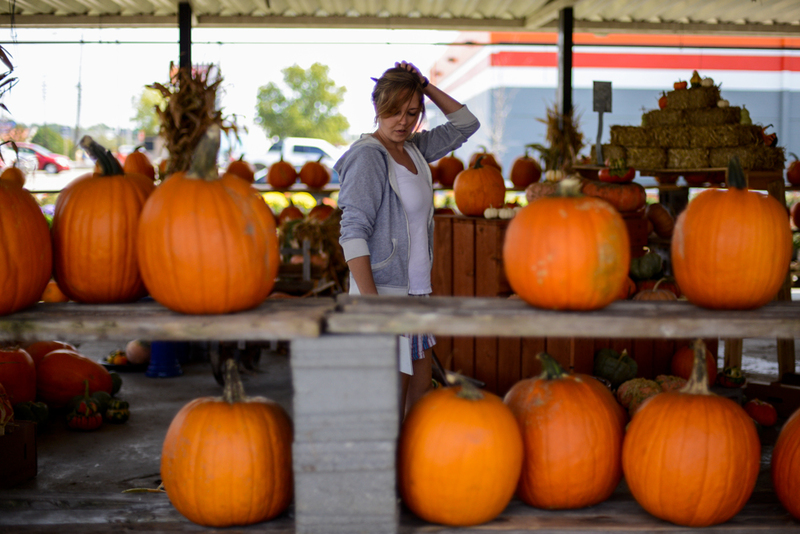 Kelsey Hutton checks pumpkins while filling the shelves and displays Tuesday in front of Wilson's Garden Center and Gift Shop in Columbia. 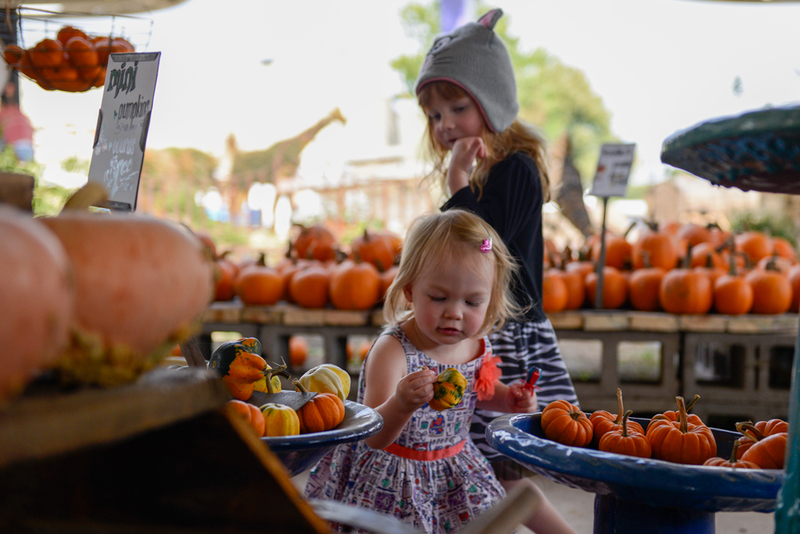 Eva Dall, 2, left, inspects the smallest pumpkin she could find Tuesday at Wilson's Garden Center and Gift Shop in Columbia as her mother, Marcia Dall, asks if that's the pumpkin she'd like to buy. 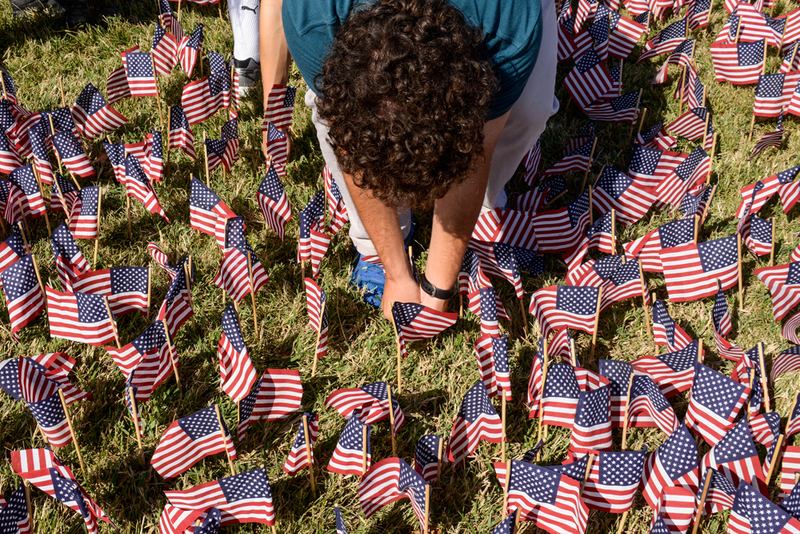 Columbia Independent School student Josh Cohen, 16, plants a flag into the school's east lawn Thursday morning in honor of 9/11 on Friday. Some of the flag sticks broke as the students pushed them into the ground, but the broken end made them easier to push in. Missouri cross country head coach Marc Burns listens as members of the Missouri track and field team share a funny story about a former teammate after morning practice Thursday at Walton Stadium. 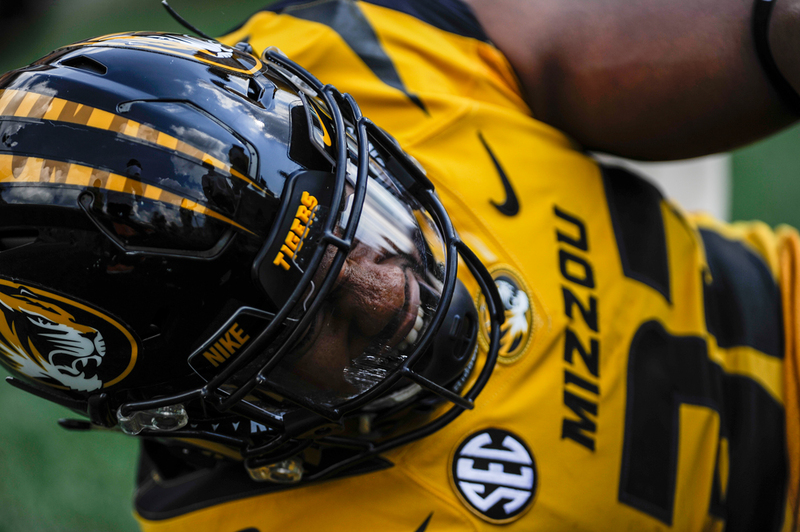 Running back Russell Hansbrough grabs at his leg after being injured at the end of a run against Southeast Missouri in the first quarter of their game Saturday at Faurot Field. 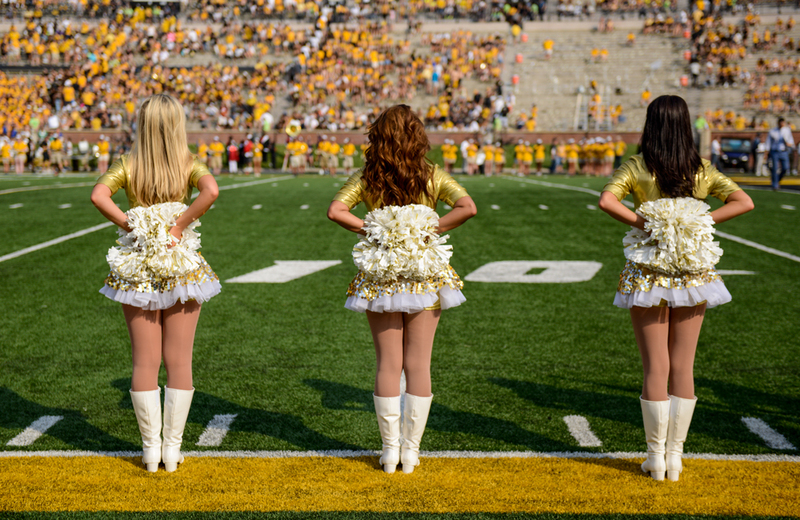 The golden girls wait on the sideline of Faurot Field during the third quarter of Saturday's game. 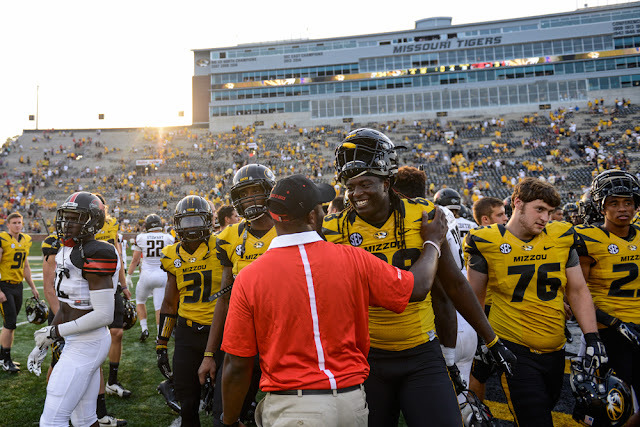 The Missouri Tigers beat the Redhawks 34-3. 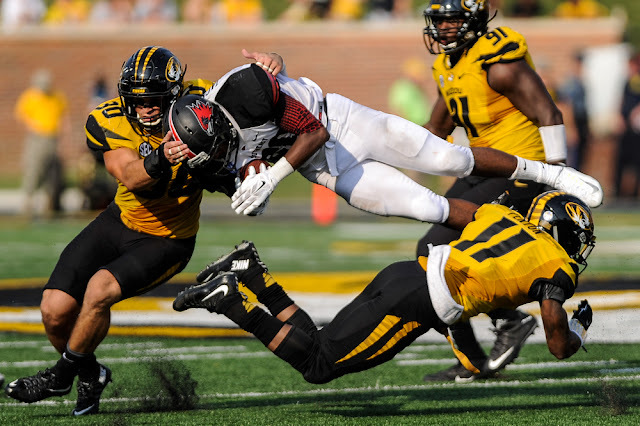 Southeast Missouri running back DeMichael Jackson is tackled by Missouri Tiger's players, from left, Michael Scherer, Charles Harris and Aarion Penton on Saturday during the third quarter at Faurot Field. 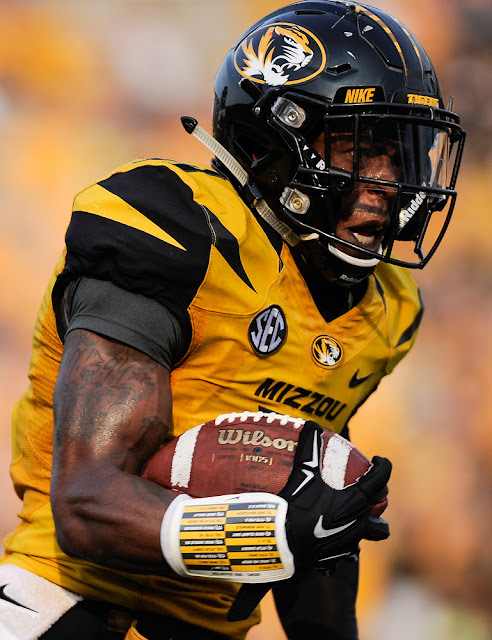 Cornerback Aarion Penton returns an interception for a touchdown. 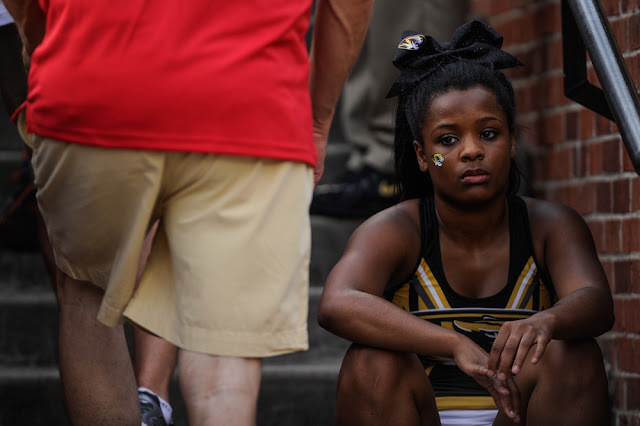 A Missouri cheerleader rests on the stairs as a fan walks by. The Missouri Tigers celebrate after their win against Southeast Missouri 34-3 Saturday at Faurot Field. 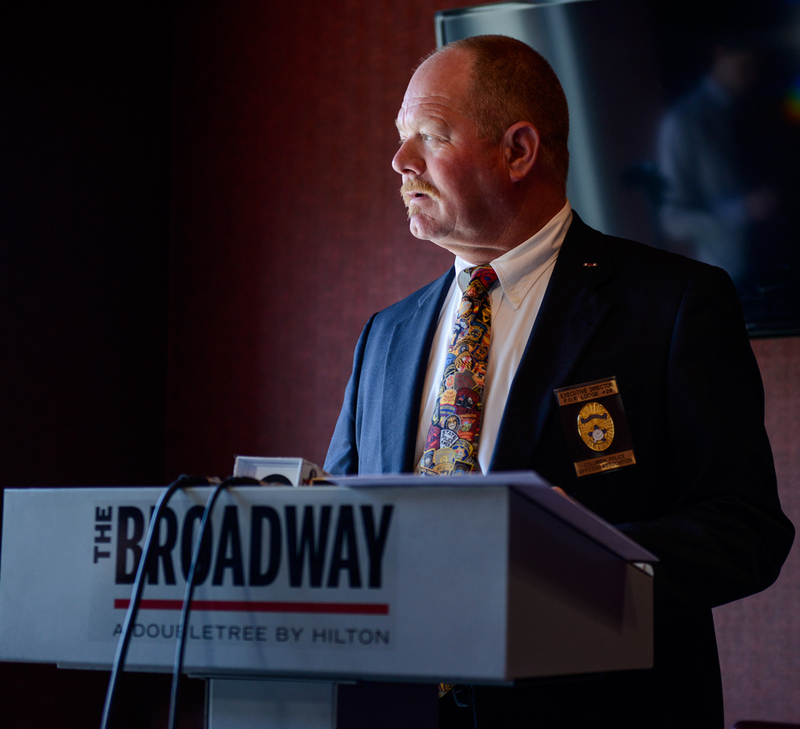 Dale Roberts, executive director of the Columbia Police Officers' Association, looks out a window of The Broadway hotel before speaking to the media on Tuesday in Columbia. Roberts cited former Columbia Police Officer Rob Sanders' 2013 open disciplinary hearing as a example of why open hearings are beneficial for employees. David Megahan stands among his mounts in his taxidermy shop, Columbia Taxidermy Studio, Thursday, Sept. 17, 2015 in Columbia, Mo. Megahan's studio was full of deer, but also included various mounts from Africa he was preparing to start work on, including a cape buffalo and an impala. 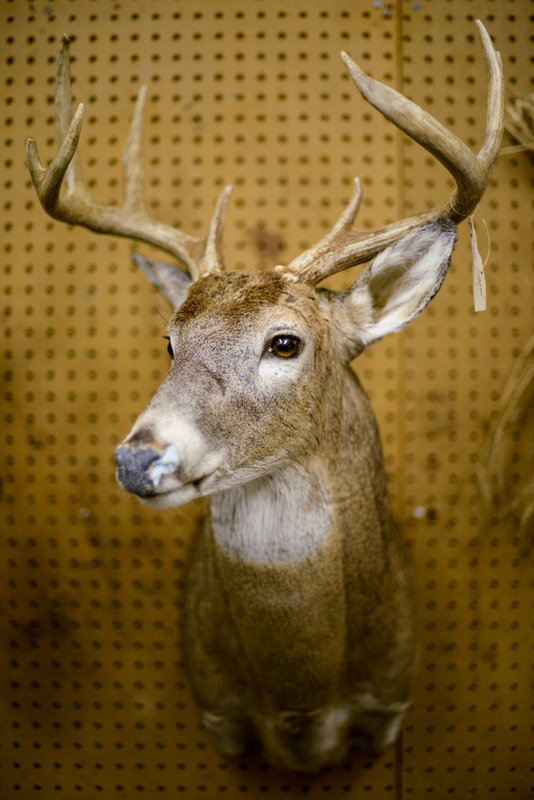 A whitetail deer mount hangs on the wall at Columbia Taxidermy Studio on Thursday, Sept. 17, 2015. 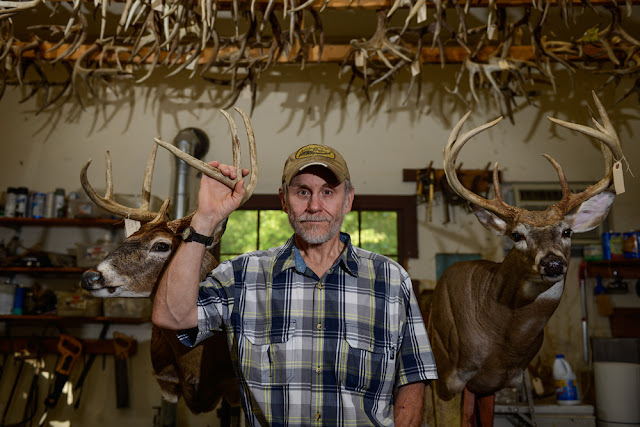 The studio, owned by David Megahan is full of deer mounts, but also includes various mounts from Africa such as cape buffalo and impalas. 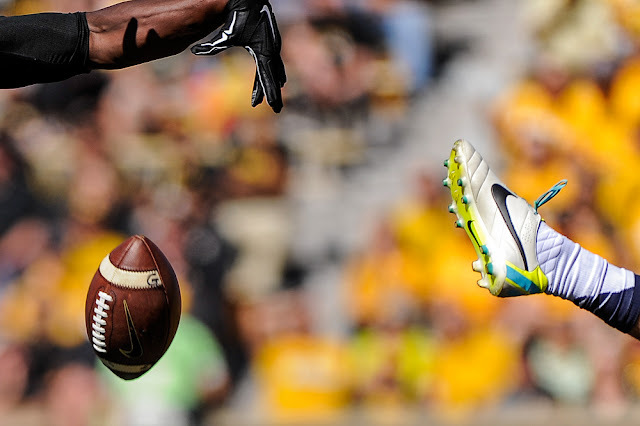 A punt is blocked for a safety by Missouri linebacker Clarence Green during the first quarter of their game against Connecticut. Fans wave their hands during the fourth quarter of the Missouri football game against Connecticut on Saturday. 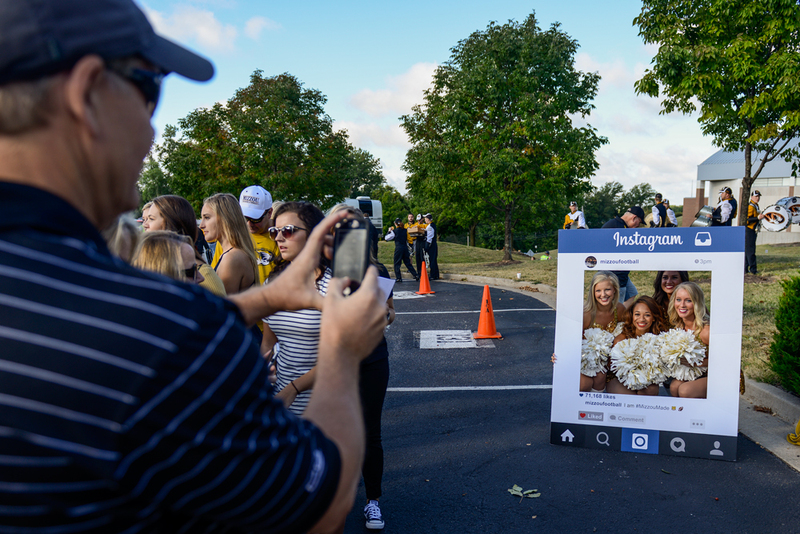 Greg Berkstresser photographs, from left, Golden Girls Amelia Maddox, Llynsie Iglehart, Danielle Colombatto and Morgan Berkstresser as they pose with a Mizzoufootball Instagram cutout before the game against Connecticut on Saturday. 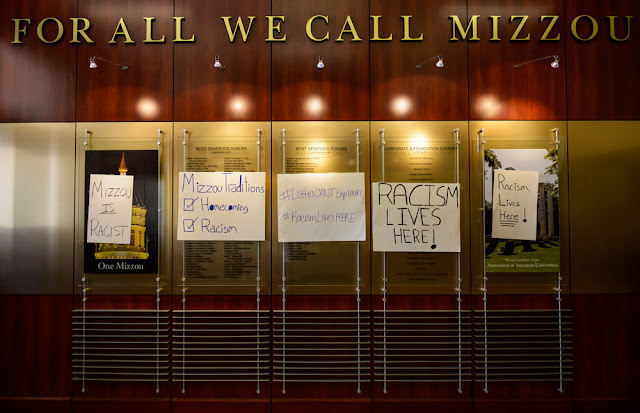 Posters from a #RacismLivesHere rally are taped inside Jesse Hall after students marched inside Thursday. Portable toilets sit in a line behind one of the stages set up Thursday morning in Stephens Lake Park in preparation for the Roots 'N' Blues 'N' BBQ Festival. Zailey Hodson, 3, smiles Saturday as deacon Aaron Duncan talks to her during a hymn at Perche Baptist Church in Clark, Missouri. 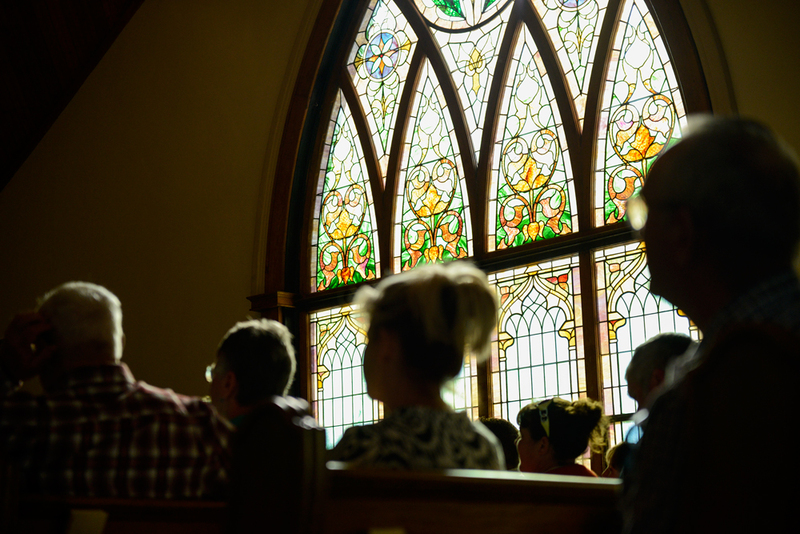 The church celebrated the building's centennial Saturday with a service and potluck. 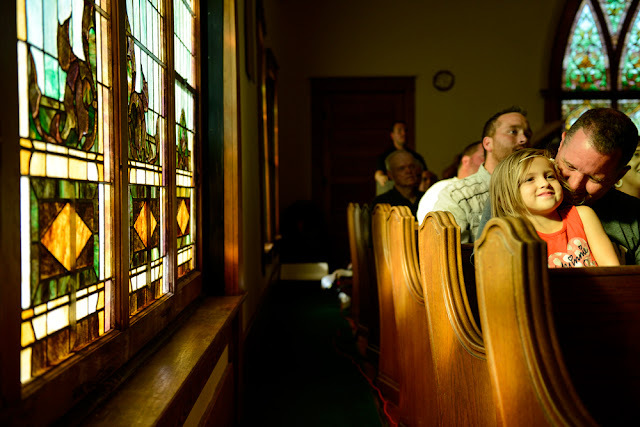 Members of Perche Baptist Church congregation listen to a service Saturday in Clark, Missouri. The church celebrated the building's centennial Saturday. The original church, which was built in 1835, was made of logs. 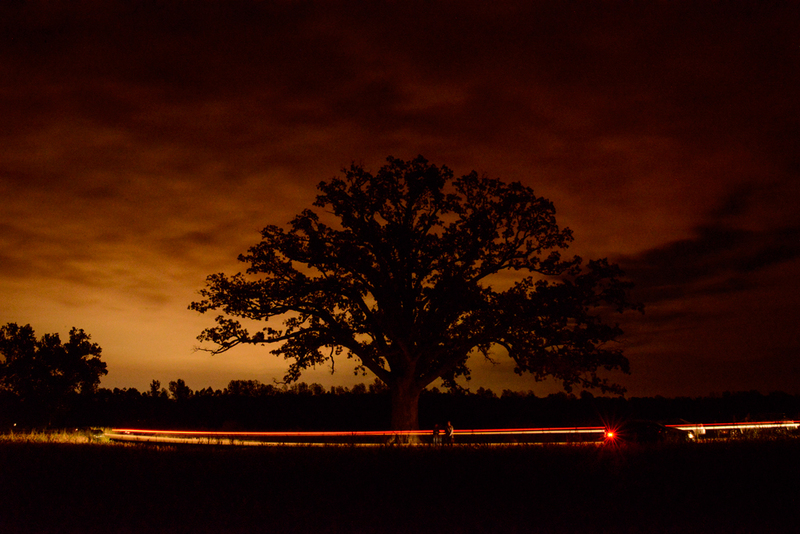 The super moon lunar eclipse is seen from the bur oak in McBaine on Sunday. Clouds covered the blood moon for most of the eclipse. People wait to see the supermoon lunar eclipse below the bur oak tree in McBaine on Sept. 27. 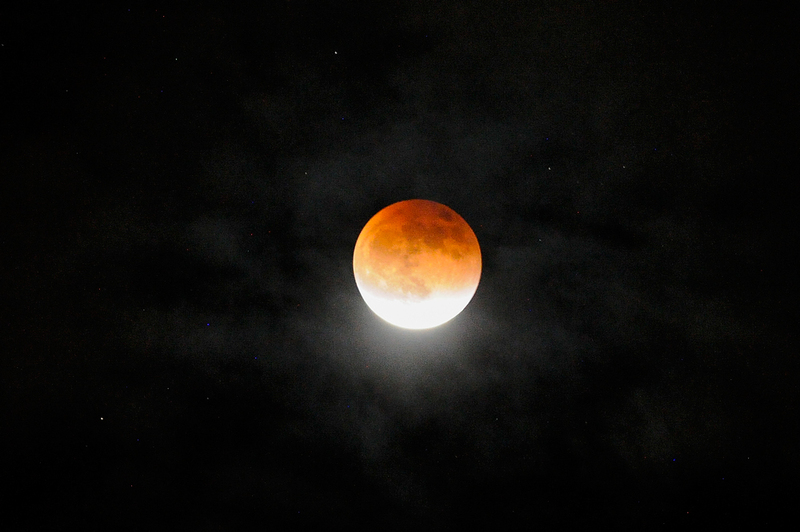 Clouds covered the blood moon for most of the eclipse. Students stand with flags from countries around the world Tuesday in front of Ellis Library before carrying the flags around campus during the International Flag Day parade. 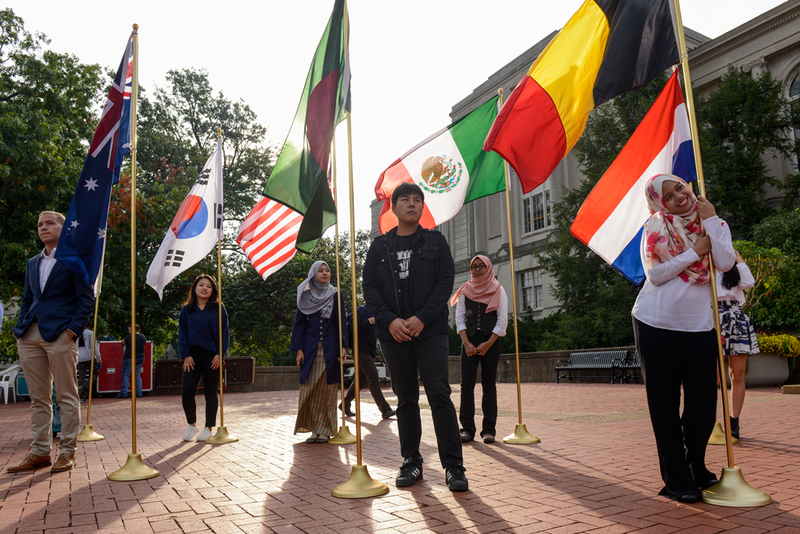 The parade is held annually to raise awareness of the diversity of students and faculty.